July 30, 2016, 7:54 p.m. The first in a series of consultations to help draw appropriate recommendations for establishing and maintaining an efficient, reliable and robust national identification system, yesterday, took place in Accra. The consultations, which are being organized by the National Development Planning Commission (NDPC), aim to engage key players involved in biometric registration and identification systems to help increase the availability of data for policy formulation, analysis and decision-making, and to provide the basis for establishing a unified national identification and population register. 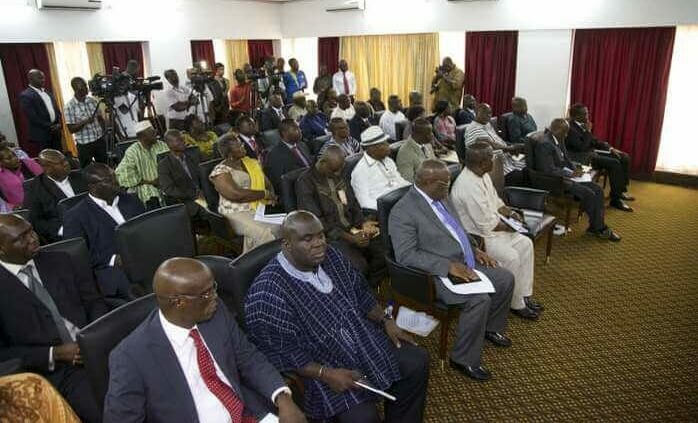 The specific objectives of the meetings include assessing the state of development of biometric registration and causes of delay in the establishment of a functional national identification system in Ghana; reviewing the scope of coverage, responsibilities and functions of various actors; and ascertaining the differences and overlaps in the policy and legal frameworks governing biometric identification systems. Other objectives of the consultations are to identify commonalities and degree of interoperability and linkages among systems; and to propose realistic actions and timelines to have a modern and comprehensive national identification system by the year 2018. About 50 participants from the Ministries, Departments and Agencies (MDAs) as well as targeted institutions such as the National Identification Authority, Social Security and National Insurance Trust, Controller and Accountant-General’s Department, Driver and Vehicle Licensing Authority, Electoral Commission, Ministry of Finance and the Ghana Statistical Serve attended the meeting. The others were the Ghana Police Service, National Health Insurance Authority, Ghana Immigration Service, Births and Deaths Registry, National Household Registry and the Data Protection Commission. 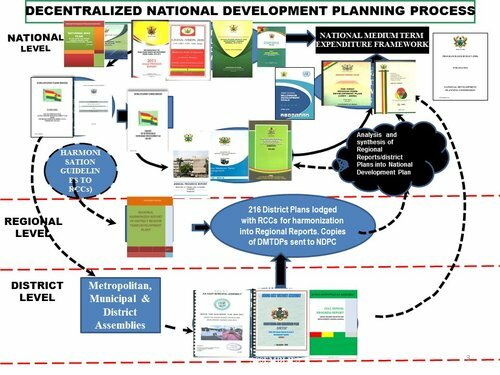 In an address, Prof. Kwesi Botchway, Chairman, NDPC, noted that there could be no credible national development plan without a credible data base, including a harmonized National Identification System. 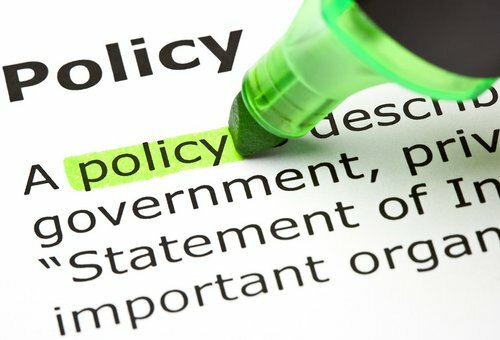 Prof. Botchway, said a national identification system was one of the catalytic initiatives required for the successful implementation of the long-term National Development Plan which aimed to transform Ghana from a lower middle-income country to a high income country between 2018 and 2057. He expressed regrets that efforts to develop a comprehensive national identification system since 2003 had failed, but was optimistic that the consultations would help understand the causes of the delay and propose realistic and monitorable actions, and timelines leading to the development of a modern and comprehensive national identification system. He, therefore, urged all stakeholders to endeavour to make progress to ensure that a national identification system was in place by 2018 when implementation of Ghana’s 40-year National; Development was expected to begin. Ghana’s efforts to establish an effective national identification system date back to the early 1970s when the Citizens Identity Card was introduced on a limited scale for the border regions. During the 40 subsequent years, various government institutions have invested substantial amounts of resources—financial, technical and human—in numerous, unco-ordinated efforts to address issues of identification, resulting in the proliferation of biometric systems of different specifications and coverage, with little or no inter-connection. The lack of coherence in biometric identification has been identified as counter-productive, with implications for national security and public safety, hence the need for the interventions under the guidance of NDPC, particularly when a national identification system has been identified as one of the most critical foundations for the success of NDPC’s long-term national development agenda.